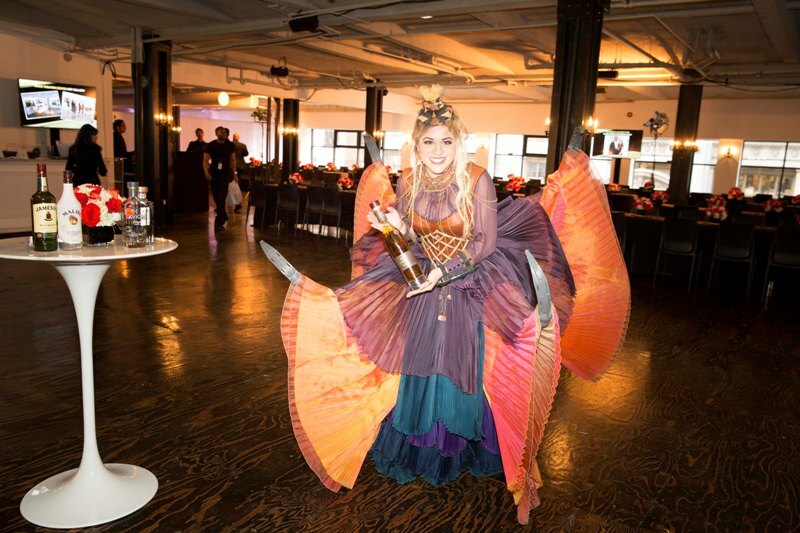 If you follow me on Instagram, you may already know — this weekend I found myself in the midst of the glitziest and most glamorous event I may ever have attended, the Wearable Art Gala. 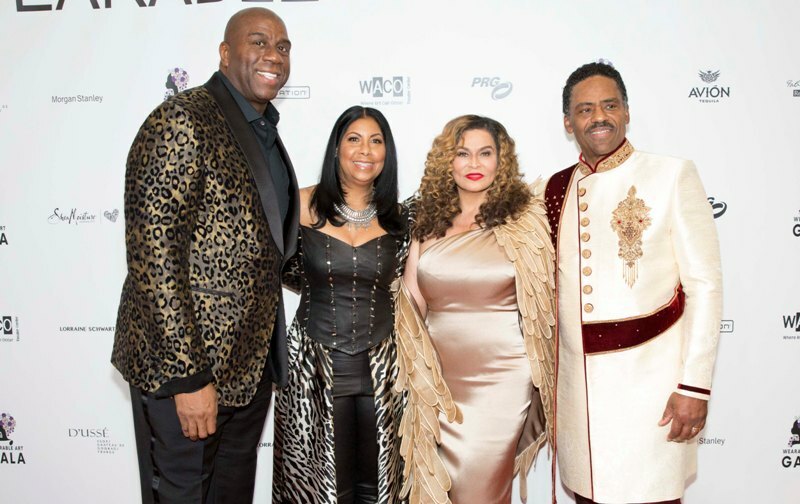 Hosted by Tina Knowles Lawson and Richard Lawson, the event is intended to celebrate art and raise funds for the newly opened WACO Theatre Center. WACO stands for Where Art Can Occur, and it’s a non-profit art and performance complex in Los Angeles. 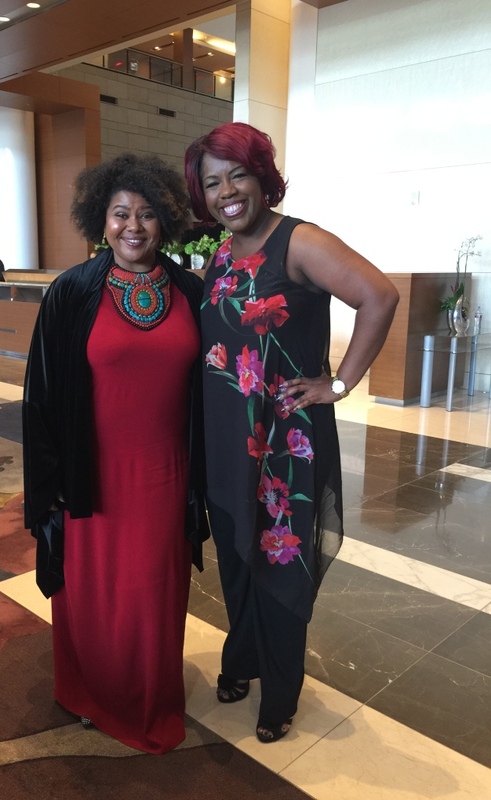 I attended the event as a guest of Nissan Diversity — Nissan was the sole automotive sponsor of this second annual event. I had such an incredible experience. 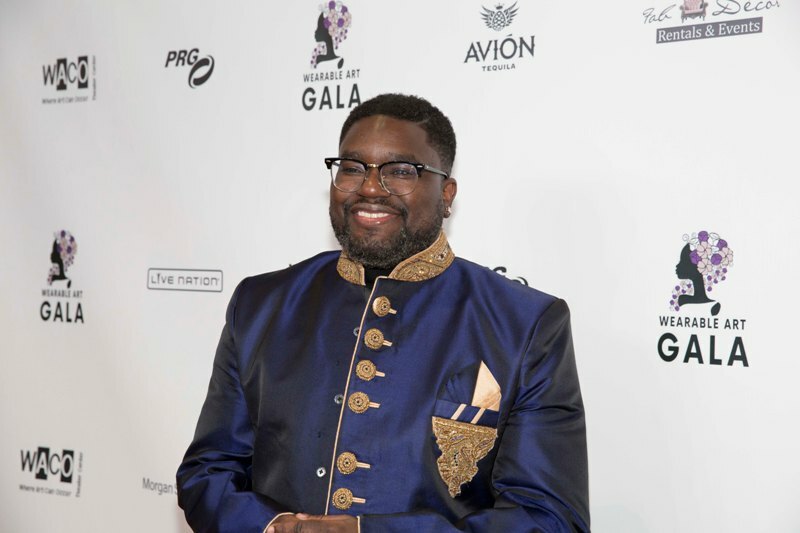 Let me take you with me, inside the Wearable Art Gala! 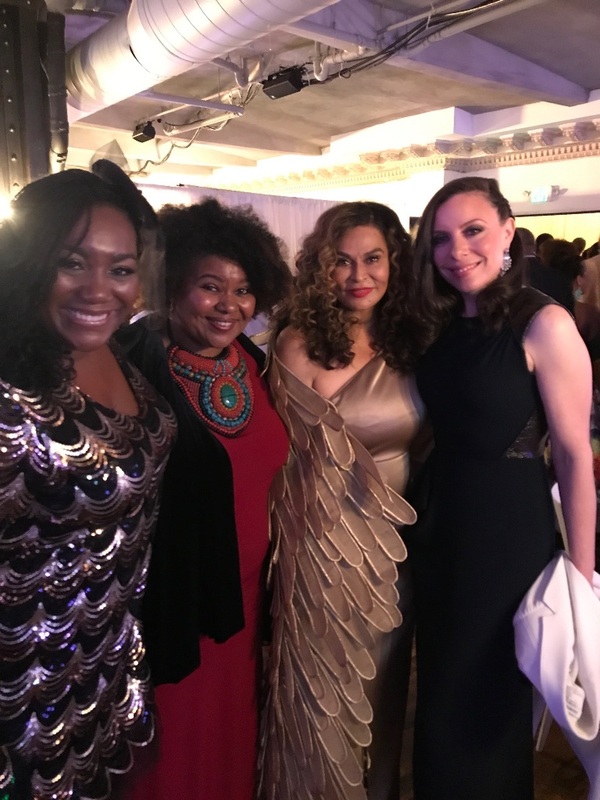 From left, Lanae Jackson, multicultural marketing manager for Nissan North America, me, Tina Knowles Lawson, and Kristina Adamski, VP of corporate communications for Nissan North America. From the moment I got the invitation, I started lowkey freaking out about what to wear. 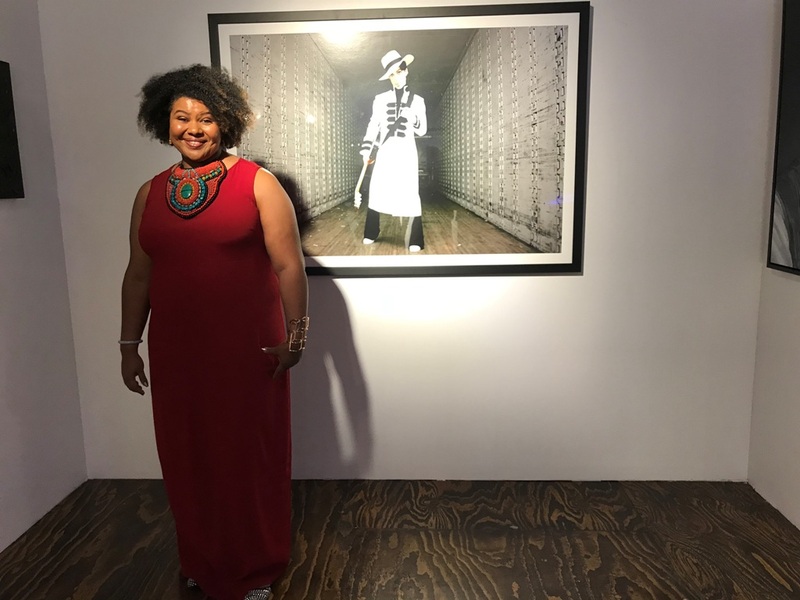 Then it came to me — wearable art! I have had this necklace that I bought from OG blogging legend and author Angel Laws for some years now, literally hanging on my office wall as art. All I needed was that dahlia red Mera gown by Universal Standard that’s been waiting for an occasion and I was ready to go! 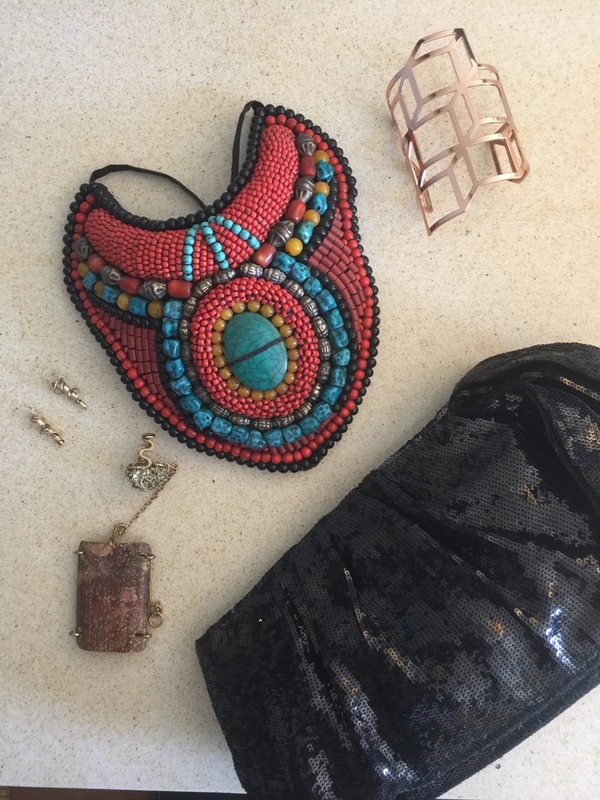 Vintage necklace, gifted bracelets and clutch. Wrist cuff by Fanta Celah. Earrings by jewelry designer Patti Conlin. During my weekend in LA I got to experience the Nissan Armada, which is super sleek and safe — I was amazed by the safety features. We were taken to the legendary and historic Alexandria Ballrooms, a gorgeous and grand venue. 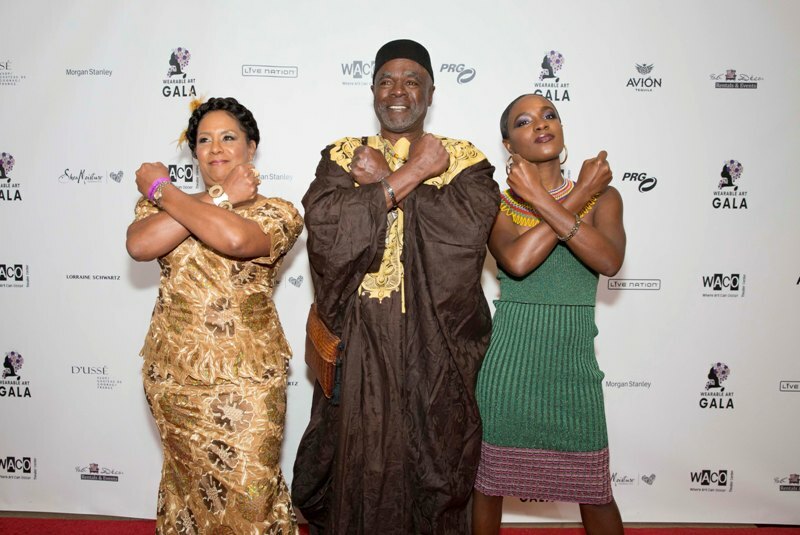 The theme of the event was WACO to Wakanda — bringing a vibrant sartorial theme to the evening. The fashion was really a feast for the eyes, everyone came out in their finest with an intent to dazzle and amaze! Everywhere I looked, there was incredible fashion, stunning and meaningful art, live music and more celebrities than I can count or begin to name. The food was pure Creole deliciousness — fried catfish, crawfish etoufee, gumbo, jambalaya, pralines and even a beignet truck outside. It was kind of like being at the most over-the-top, fabulous wedding ever. And this is all before the auction that’s now made headlines around the world! 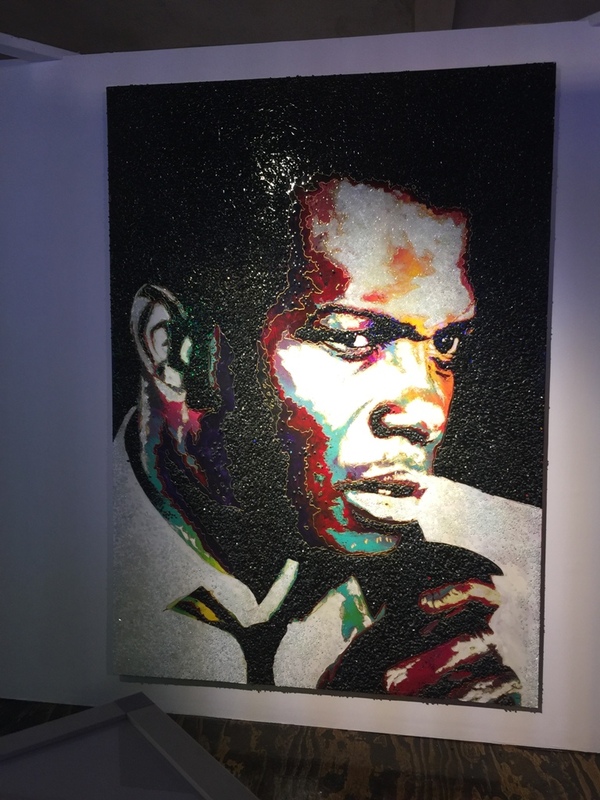 The painting Blue Ivy bid on was a portrait of young Sidney Poitier, and it caught my eye the moment I entered the art auction area. Such a show stopper! No wonder it created a stir at the auction! 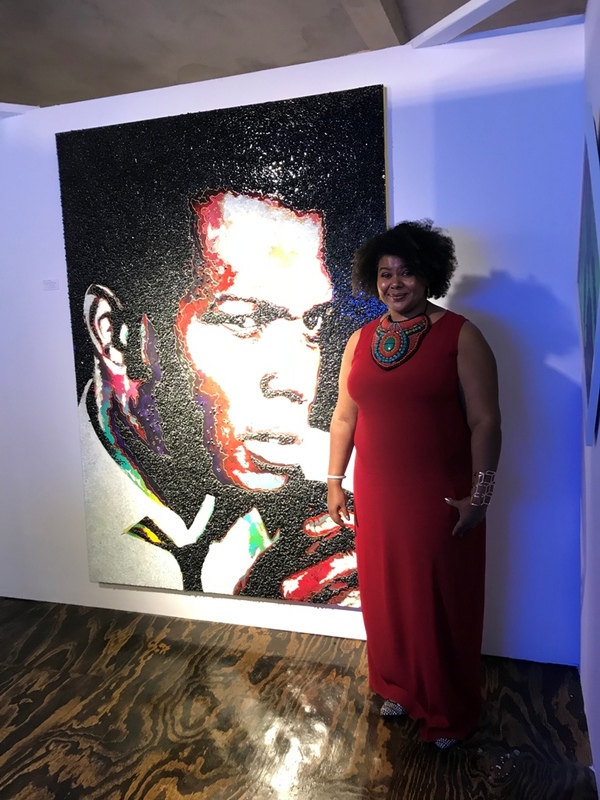 I missed the auction action, but from what I’ve read Blue Ivy bid $19,000 on this portrait of Sidney Poitier and Tyler Perry won the painting for $20K. Such a wonderful boon to a great cause! There was amazing art on display, including neon signs, photography, sculpture and jewelry. I snapped photos near a few of my favorite pieces. Thanks to Daisy Teh AKA The It Mom for snapping these pics! All throughout the event and especially in the VIP area, it was like a who’s who of celebrities. And here’s the thing about me — I’m not the best at approaching people mid-conversation to ask for photos. It just never feels like the right moment. BUT I did have a lovely chat and thanked Rep. Maxine Waters for her work (SO important right now). 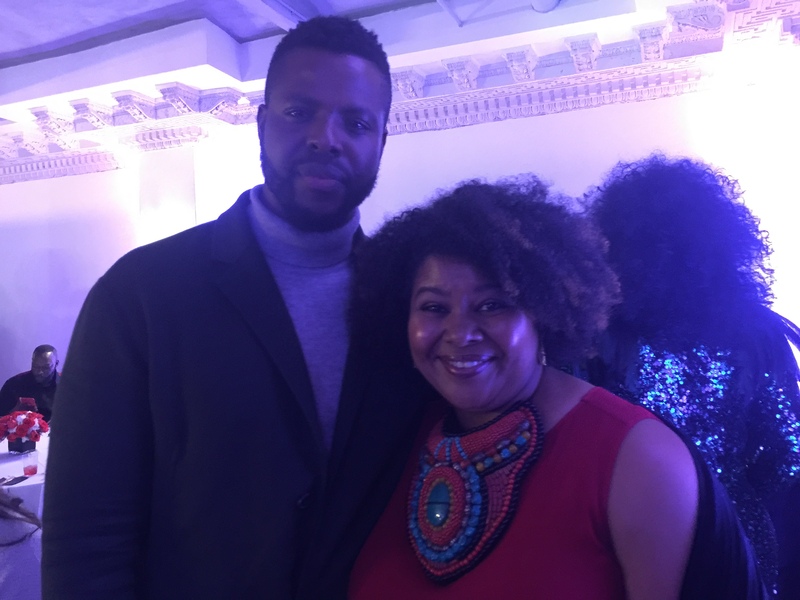 And I had a wonderful moment with Winston Duke, breakout star of Black Panther and proud Tobagonian! I was so delighted to meet him and say thanks for repping Trinidad and Tobago to the world so amazingly. He was so cool! Check out some of the celebs present — all official photos courtesy of Nissan, by photographer Alison Buck. 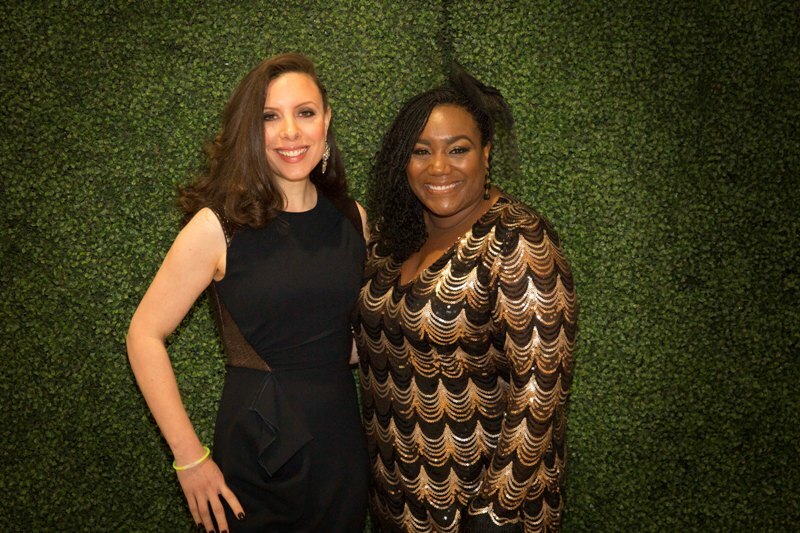 The ladies of Nissan walked the red carpet and represented! With Jocelyn Allen of The Allen Lewis Agency. Love her!! And of course the main celebrants of the event! Beyonce and Blue Ivy were visions in gold, custom made matching outfits. Jay Z rocked a tux. They’re like royalty, and the energy and excitement for their appearance was electrifying. 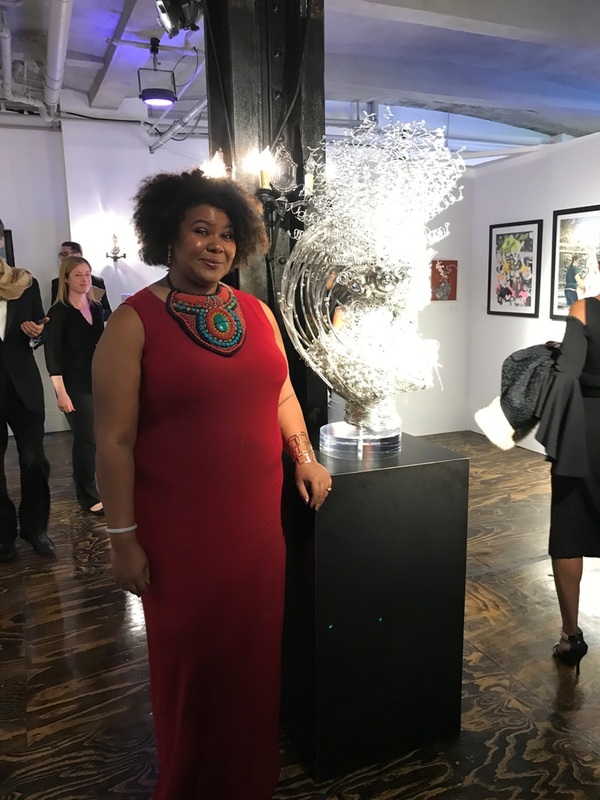 Beyonce was honored by her mother for her humanitarian purposes, and the whole event was about giving back — all night I met artists and entrepreneurs who have been personally supported time and time again by the Knowles family. They do so much charitable work and support of indie businesses behind the scenes, and so much of that was celebrated in this magical evening. 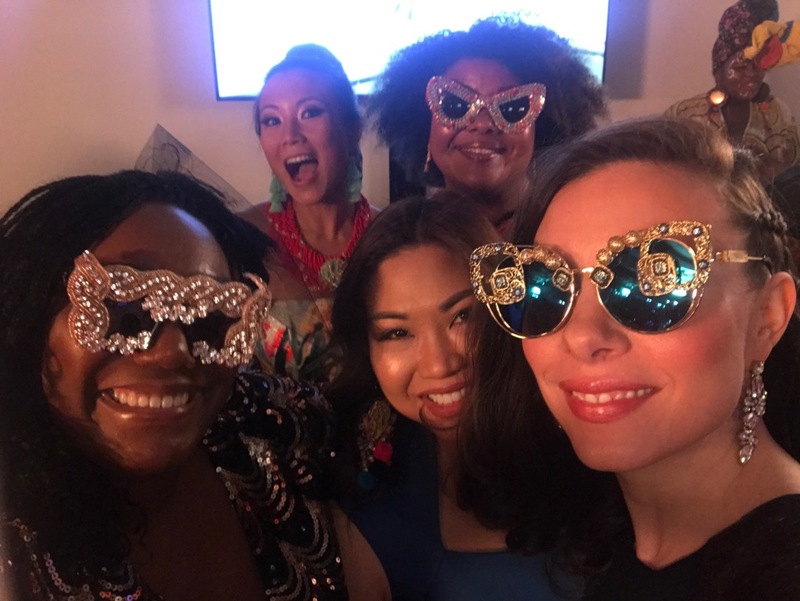 With the Nissan Diversity crew, rocking custom made sunglasses by indie designer Burkina Bae! All in all, it was an incredible experience. Thank you for a wonderful weekend, Nissan! 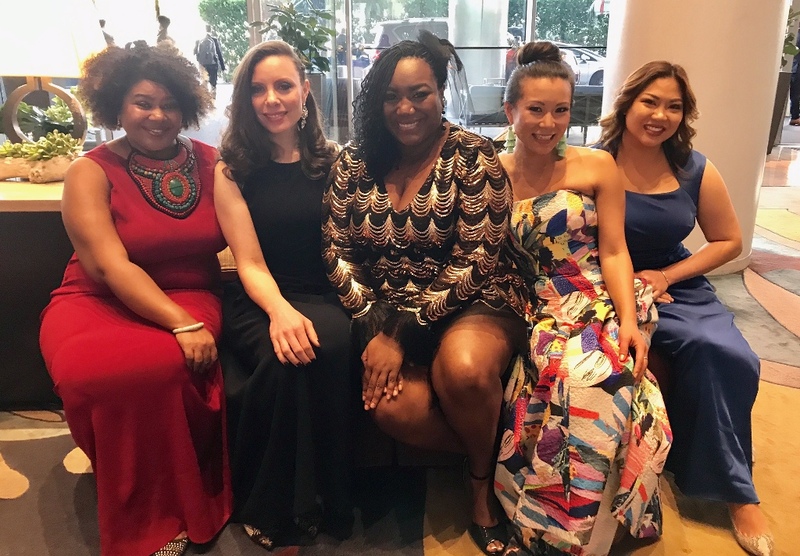 Follow their #NissanDiversity adventures online at Twitter.com/NissanUSA or Instagram.com/NissanUSA. I loved seeing the diverse women in your images. You presented a very well rounded story of what the event was like. I feel like I was there! You glowed and it showed. Your outfit and accessories were on point and from your smile we can see that this was a fantastic and memorable night. Nissan did good in selecting you to represent.